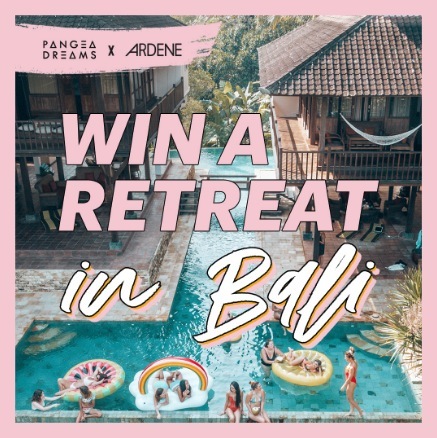 Enter the Ardene and Pangea Dreams Contest for your chance to Win an all-expenses paid retreat in Bali for you and a friend. This contest is open to all legal residents of Canada who are 21 years of age or older. To enter you need to follow the official Ardene and Pangea Dreams Instagram accounts located @Ardene and @pangeadreams, then locate one of the posts promoting this competition (such as this one) like it and use the comments section to tag a friend and get one entry. Contest closes on February 21, 2019 at 11:59 pm ET. Winner will be selected by random draw form all eligible entries. The Ardene and Pangea Dreams Contest begins on February 9th, 2019 at 12:00:01 PM (noon) ET and ends on February 21st, 2019 at 11:59:59 PM ET. The draw will take place on February 22, 2019. Winner will be contacted via direct message on Instagram.